Home decorating is all about the little details. When choosing the finishing touches for a renovation, something as simple as a door handle or knocker can make a profound difference. At TBKS we strive to supply door furniture to make every decorative taste or theme - but how can you know if an item is right for your home? These three tips for choosing the right door furniture will lay out some basic home decoration concepts, and guide you to the ideal fixture. As irresistible as an antique lock can be, it’s entirely inappropriate for a front door, garden shed etc. Only a sophisticated lock system should be used for a main entry way or any door that houses valuables, and with a wealth of mortice locks, latches and rim locks available, you shouldn’t leave the security of your home to a simple latch or chain. Most home burglaries occur when the strike plate of the door is forcibly broken with a heavy object (or even a simple kick). As robust as an iron lock or latch may seem, it’s far too easy to weaken a lock and bring a door down. Once again, your door furniture needs to meet the needs of the room. Hallway or wardrobe doors will require a non-locking knob or lever, whilst rooms that have a higher level of privacy (e.g. 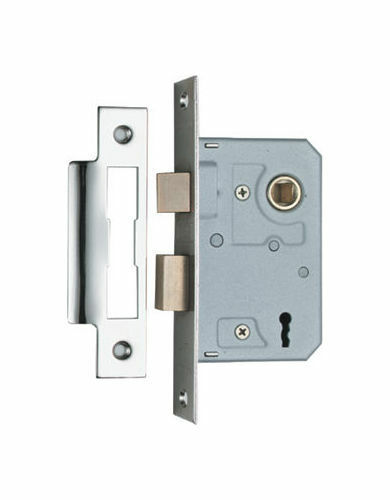 bedrooms and bathroom) require a simple inward lock. At TBKS we try to add a bit of character to these mostly perfunctory fittings. Our bathroom door bolts include the classic “Engaged” privacy indicator, while all our thumb latches exhibit a classic, antique cottage design. When picking out the door knobs for your home, the best practice is to take a tally of all the entrance ways, and to mark what function you require for each of them. Is privacy a requirement? Is it merely a passageway? Would a dummy set of door handles suffice? So you know what purpose a door will serve and how secure you want it - now you can worry about the aesthetic! Brushed nickel, antique bronze, satin brass…we could fill this entire blog post with the amount of finishes available. Of course some are really not suitable for exterior use, such as leather or various types of wood. 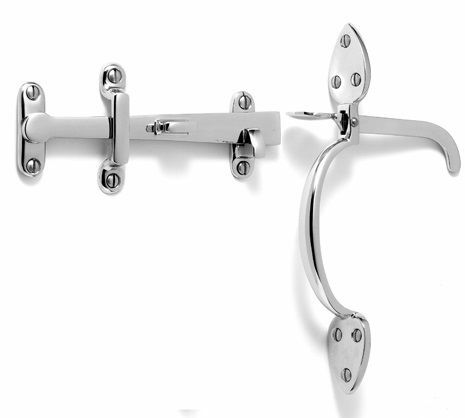 You generally can’t go wrong if you source all your door furniture from the same manufacturer. Samuel Heath, for example, offers a range of products with both smooth and adhesive finishes -- with collections that dote on both the contemporary and classic home in mind.